The lobster grounds off of southwestern Nova Scotia are among the richest in the world, so it’s only fitting that Shelburne County is home to the Lobster Capital of Canada. 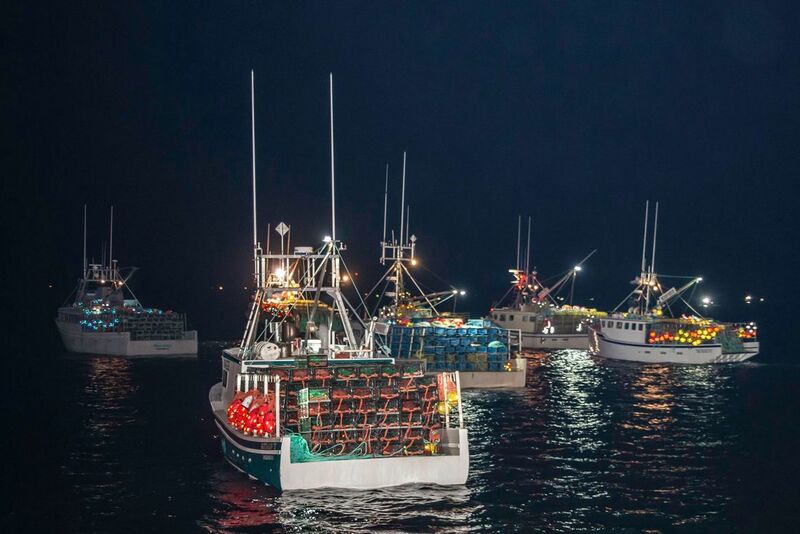 Our lobster season, for Districts 33 and 34 run from the last Monday in November, called Dumping Day, to the last day in May. 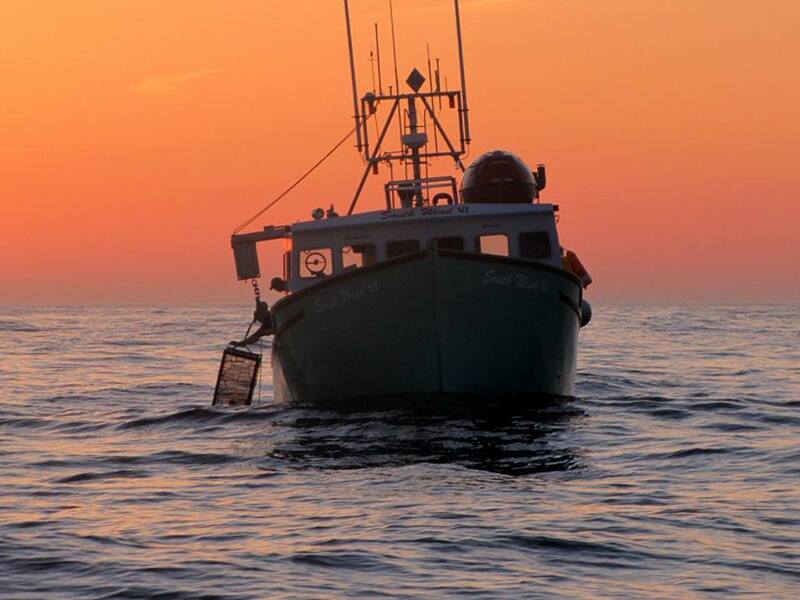 The lobster fisheries have been the economic backbone for all of our communities in Shelburne County for centuries, dating back to the mid 1800’s. Shelburne County celebrates the ending of the Lobster season each year with a Lobster Festival the first full weekend in June. Traditionally, lobster traps were made of a wooden frame surrounded by a rope mesh but today you will find the majority of lobstermen use rectangle wire cages, which have woven mesh entrances. The traps capture lobsters live by attracting them through the mesh entrances into the centre of the trap where the bait is located. All the traps are equipped with an escape hatch, which allow for small lobsters and other sea life to escape. 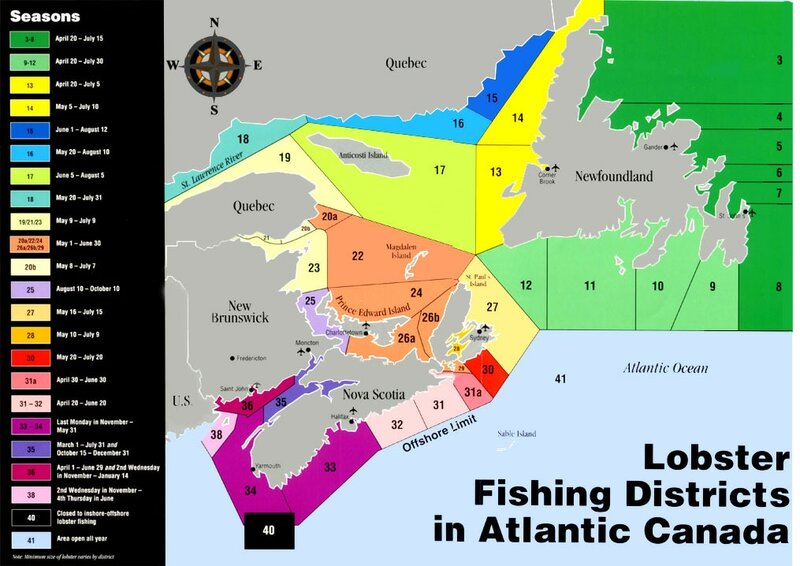 There are conservatory measures in place with limits set for licenses available, number and size of traps, season, and lobster size and all female egg bearing lobsters must be returned to the ocean. It takes 7 years for a lobster to reach market size. Lobster traps are attached to lines and marked by buoys which float on the surface of the ocean water. Traps are submerged on the seafloor, where they will set (normally for a 24 hour period) to catch lobster. Fishermen check their traps regularly to haul in their catch. On board the boat, lobsters are measured and graded to ensure correct sizes and regulations are met. Lobsters are then banded around the claws with a small rubber band, to ensure safety to the fishermen and to the other lobsters. Lobsters are stored in crates. At the wharf, the lobsters are sold and taken to a local buying facility to be shipped around the world. 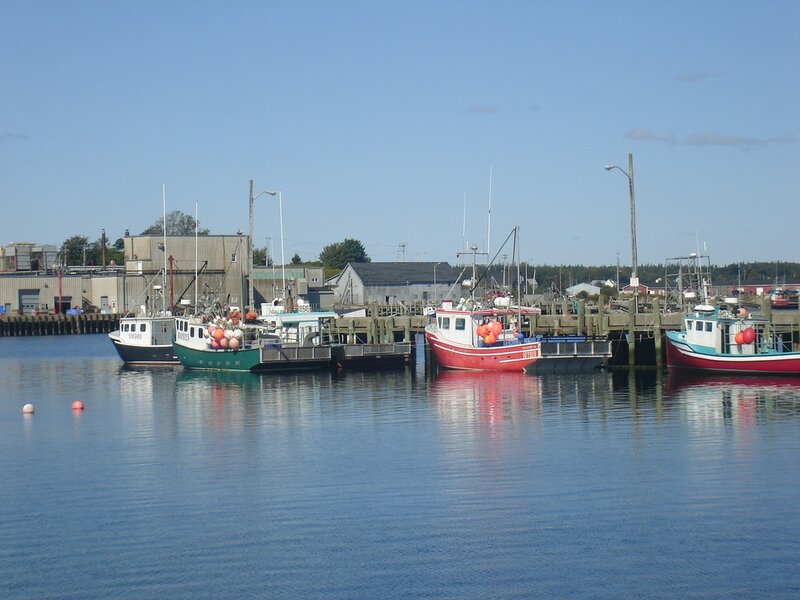 In some cases, fishermen will store their catch in “cars” – floating structures which hold lobster crates in compartments – you will notice these in the water at many of the wharves in the County. Fishermen will often hold their catch in hopes of getting a better market price during the season.